Constance Anne (Connie) Meister of passed away Thursday, January 31, 2019 at home with her family around her. Connie was born August 11, 1955 in Evanston, Illinois to Neal and Marcia Robertson. She attended the University of Wisconsin-Madison where she received her degree in Elementary Education. Connie was a member of the Alpha Chi Omega Sorority at Wisconsin. Connie met her husband Jim Meister in their 1st class in their freshman year at Wisconsin. She married Jim on July 22, 1978 and spent the next 40+ years as his soulmate. Connie taught middle school in Long Grove, Illinois for 5 years before retiring to raise a family, run a household, manage all finances, and care for her parents. Connie and Jim lived in Wheeling, Mt. Prospect, and St. Charles, Illinois until the summer of 2016 when Jim retired and they chose to split their time in retirement between Lake Beulah near East Troy, Wisconsin and Amelia Island, Florida. 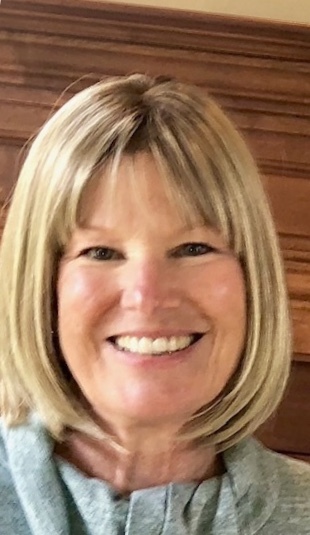 Connie loved time in and on the water, designing her homes, spending time with her children and grandchildren, the UW Marching Band, yoga, reading, and vodka on the rocks (80-20 mix). Connie’s glass was always half full; she saw the positive side of everything. She was described by a friend as a smart, funny, beautiful, and kind woman, mother, and wife. Connie might be found meditating on a yoga mat in the morning and playing Cards Against Humanity with her kids in the evening. Connie is survived by her adoring husband Jim, daughter Carrie (Scott) Haskins of Kohler, WI, son John (Anna) Meister of Hartland, WI, son Craig Meister of Portland, OR, 5 grandchildren, a brother Bruce (Anne) Robertson of Salem, NC, and a sister Carrie (Chris) Meyer of Indianapolis, IN. Visitation will be held at the Derrick Funeral Home, 800 Park Drive, Lake Geneva, WI from 1:00pm till 5:00pm on Thursday, February 7, 2019 with a memorial service at 3:30pm. Following the visitation will be fellowship and remembrance at Celebration on Wells, 422 S Wells St, Lake Geneva. In lieu of flowers donations can be made to the American Brain Tumor Association or to the University of Wisconsin Foundation, links have been provided below. To post an online condolence please click he Guest Book tab on the left side of your screen.